Podcasts are rapidly becoming a great new medium, though they’ve been around for over a decade. The tools might have changed over the last 10 years, but the point remains the same: engage listeners with content that feels like a conversation. So how do brands fit into this? 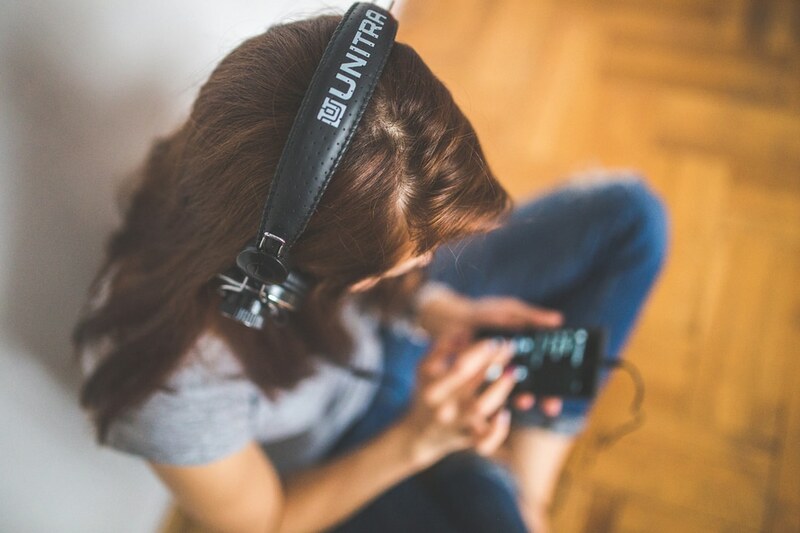 It’s easy for brands to overlook this as just another medium for content creators to share their stories; but it’s important to remember that your content can be translated to an audio format as well. This of course, depends totally on what your brand is all about. Not every industry meshes well with this medium, so consider that before diving in. Once you’ve determined that this might be a good fit, there’s a few ways your brand can make podcasting work for you. Plenty of podcasts are open to doing short advertisements during their show for a fee – just like traditional radio. You can dictate the copy they read, or any other audio elements in conjunction with the hosts and producer so it sounds how you want but also satisfies the show’s own standards. This will take a bit of research and can be a great benefit to your brand if you go with the right show or podcast network. Services like midroll connect companies with popular podcasts, along with examples of any previous ads that have appeared on the shows in the past. Factors like listener locations, topics covered, the amount of listeners & their social media following will determine whether or not you’d be a good fit fir that particular show & vice versa. While an ad is great, your brand might want something with a little more clout and also get top billing. You might not have the resources or know-how to start your own podcast, but it’s possible you can work in partnership with someone who does. It’s always beneficial if they have somewhat of a following already; and the same goes for you in terms of benefits for the hosts. Both parties can make use of the others’ reach to get everything off the ground. As a brand, it’s important you choose an influencer (or influencers) who make great brand ambassadors. They should be popular experts in similar or adjacent circles or industries to your own, offering either comic relief or insight into the stories that would have the most impact with your target consumers. In short, the pairing has to make sense. An industrial steel manufacturing company might seem like an odd partner for a social media personality known for their cooking skills and recipes, whereas a steel kitchen and home appliance company would make a bit more sense. Depending on what your brand is, this is a bit of a trickier option – but it can be done! Keep in mind just like with any creative content that while it’s an opportunity to push your brand forward, focus on pushing the story forward. Think about the subjects that appeal to your consumers the most and go from there. As this is a bit of a booming sector at the moment, there are tons of podcasts to choose from, so why should they listen to yours? Find something that no other podcasts can offer content wise, and go from there. Can you offer detailed insights into things that would normally not be available to the public that you would love to share? Sometimes image or video content of short moments aren’t enough! Try to stay from constantly pushing your own product on the show, even in ways you think are “subtle.” Podcasts listeners are extremely savvy to those things, so having very obvious commercial breaks that remind them of the branded content they’re listening to is fine. Podcast listeners are actually quite open to advertising content, more than lots of other platforms. Don’t be afraid to go a little bit outside the box idea-wise, but always make sure it would appeal to your target market. For example; as visual as beauty & marketing is by default – there’s no reason a brand like this can’t start their own girl-talk focused podcast for example. The onus of finding the right people to host, produce and distribute the show will fall on you – so make sure you’re equipped to get it done.